Hi all, my name is Marie-Céline. I am 28 years old, I come from Belgium and I am very happy to introduce myself as one of the EVSers of CISV Norway for 2017-2018! Before moving to Norway and starting this new experience, I was working as an assistant in a European trade association based in Brussels. I studied languages and communication. I like sports (especially gymnastics, stunts and martial arts), traveling, getting to know more about other cultures and learning languages. During my free time, I also volunteer for a European organisation supporting international students (the Erasmus Student Network). In the past, I have also been a scout and a cub leader, and I’ve volunteered in a martial art federation as well as at gymnastics championships. I’m very much looking forward to meeting you all and to learning more about CISV and peace education! If you wish to contact me, don’t hesitate to send me an email at evs@fredsutdanning.no. I'm a long time CISVer and curiously enough my first programme was a Village in Bergen in the year 2000, and later I was a Leader in Oslo in 2010, so I guess I'm a friend of Norway already 😉 I've also done Summer Camp (France), JC (Finland), Staff (Brazil) and Leader (Argentina). I studied Psychology at university and worked for a long time in schools supporting students with special needs, but I'm also a musician who followed a dream and played extensively in the streets of London. I love spending my time in Nature and hanging out with friends, my favorite sport is climbing and I'm hoping to do lots of that during my time in Norway. 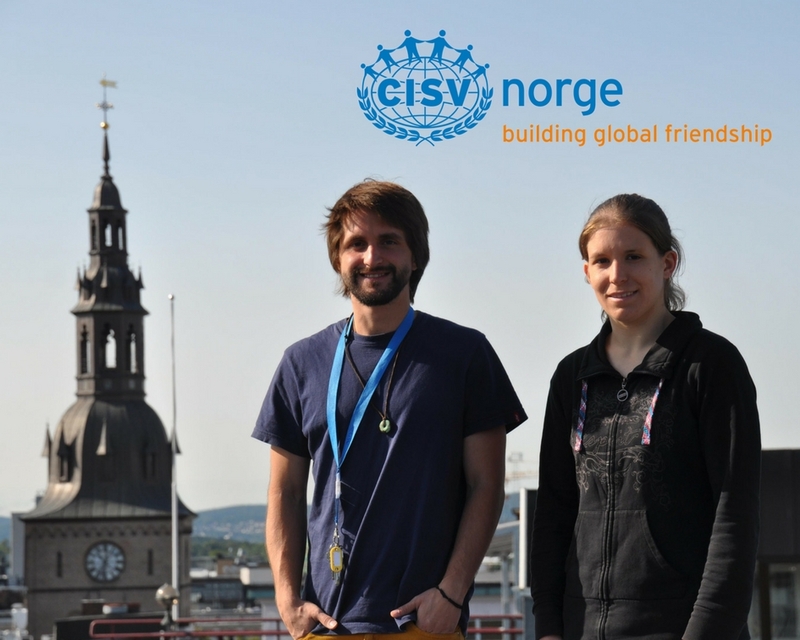 I'm very excited to contribute my skills and energy to CISV and to live and learn the Norwegian culture.